Welcome to Optical Images! Our team of eye doctors and eye care staff are here to care for all of your vision needs. We handle everything from adult and children’s eye exams and hard-to-fit contact lenses, to eye emergencies, treatment of eye diseases and co-management of eye surgery such as LASIK. By staying current with the latest developments in eye care, prescription lenses and advances in contact lens technology our vision center can provide you with the best vision, advice and fit today and in the years to come. Our eye doctor in Kirkland, WA takes pride in building lasting relationships with our patients, which is why we take the time to get to know you, your vision requirements and your lifestyle needs. Contact our eye care clinic today to find out how we can help. I need an eye doctor near me – where should I go? Visit Dr. Cusic, at Kirkland Optical Images. No matter what you need for your eyes and vision, we will provide it. Our highly qualified, experienced, and friendly eye doctor will use advanced diagnostics and first-rate skill to inspect your eyes and provide cutting-edge treatment. We offer a full range of eye care services at our Kirkland Optical. Dr. Cusic performs thorough eye exams, manages ocular disease, corrects vision conditions with eyeglasses and contact lenses, co-manages LASIK and other eye surgery, and provides services for low vision in Kirkland,WA. 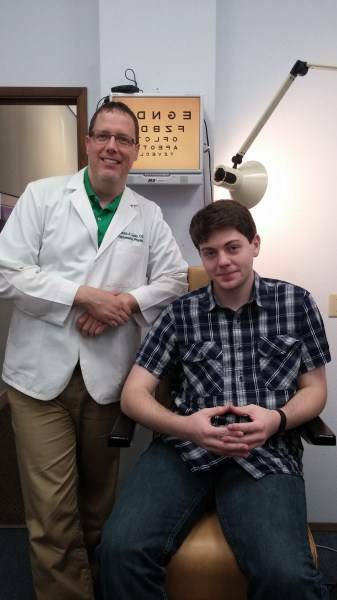 If you are looking for an optometrist near Redmond WA, Optical Images is the place! Find out why our Bellevue WA eye care patients feel Optical Images is worth the 15 minute drive.